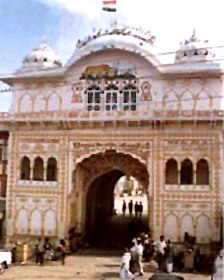 Shri Mahavirji is situated 110 km of Sawai Madhopur. The temple combines ancient and modern styles of architecture. It is raised on a huge platform and is mostly made of white marble. The chhatris (canopies) are made of sandstone. The temple has grown into a complex of religious shrines. The main attraction here is a statue of Shantinath, a Jain Trithankar, which measures 32 ft. in height and has a majestic appearance. A big fair, held in March – April every year attracts a huge number of devotees. 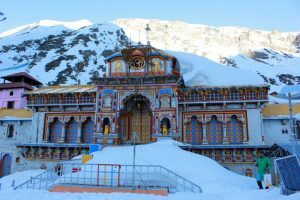 This entry was posted in Rajasthan, Shri Mahavirji and tagged guru temple, hindu temple, india temple, indian temple, lord temple, mahavirji, mandir temple, pooja temple, puja temple, Temple, temple hindu, temples. Bookmark the permalink.